We tend to talk about likability as a black or white issue. But like the old adage, “I don’t know much about art, but I know what I like,” there’s no universal component of likability. After all, erudite Barack Obama, folksy Joe Biden, and angry Bernie Sanders couldn’t be more different, yet all three are beloved by their bases. Even Donald Trump—as divisive as he is—clearly has a magnetic pull among his loyal supporters. But Clinton is different. Even many of those who plan to vote for her admit they don’t find her particularly likable. According to The Washington Post, just 33 percent of Clinton supporters are “very enthusiastic” about supporting her while 46 percent of Trump supporters say the same about their candidate. (For the record, Clinton—like most women—tends to be far more popular when she’s in office than when she’s running for one.) Pundits usually blame Clinton’s favorability issues on her perceived caginess, her tone, and her general awkwardness when it comes to public speaking. Essentially: Clinton’s flaws make her unlikable. And I’m not just talking about Trump, who by all accounts has completely coasted through this election season. Data shared by FiveThirtyEight suggests that although voters under 25 are “more likely than any other age group to approve of the job Obama is doing as president” and although Clinton is essentially running for a third Obama term, she’s winning under-25 voters by half as much as he did. That’s a fairly glaring disconnect. And as my friend Alasdair Wilkins explores for Paste Magazine, Joe Biden enjoys a far rosier public image than Clinton even though he shares many of her political flaws. Despite sponsoring pro-banking legislation, mishandling the Anita Hill trial, and authoring that 1994 Crime Bill, Biden is still looked at as loveable “uncle Joe.” Now to be fair, Biden isn’t currently in the pressure cooker of a presidential race. But even if he were, I suspect we would have a far easier time conceptualizing him as greater than the sum of his flaws, as we've long been conditioned to do with men. And that’s not a luxury Clinton enjoys. Which brings me to my final point and perhaps the biggest elephant in the room: Sexism. Personally, I’m not hugely interested in how sexism plays into someone’s decision as to whether or not to vote for Clinton. But I am interested in how sexism has shaped Clinton personally. And particularly how it relates to the idea—as Indira A.R. Lakshmanan and Ezra Klein have both explored—that Clinton is warm and personable in intimate settings but more distant and awkward in large ones. Essentially what Clinton is saying is that the stiltedness of her public persona is a kind of self-preservation tactic born out of years of brutal misogyny. And while that doesn’t excuse the fact that she sometimes struggles with transparency, it transforms a dehumanizing flaw into a relatable one. It gives her a humanity that’s too frequently missing from the discourse around her. 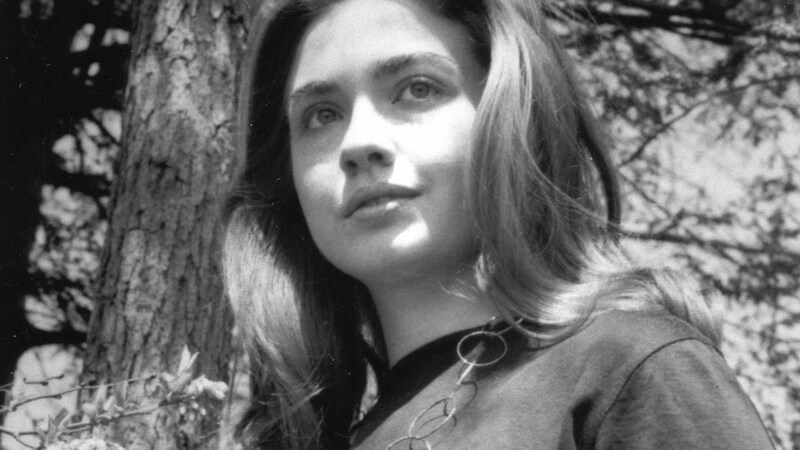 Just as in order to understand Bernie Sanders you have to understand what it means to be an activist, in order to understand Hillary Clinton you have to understand what it feels like to face a lifetime of sexism. Unfortunately, while explorations of women grappling with inequality aren't completely absent from our entertainment, they’re also not incredibly common either—particularly in stories set outside the Mad Men era and particularly in media aimed at men. That’s why the Marcia Clark-focused episode of FX’s The People Vs. O.J. Simpson from earlier this year felt so revolutionary; it offered insight into the personal cost of sexism that many people—including many women—don’t often think about.